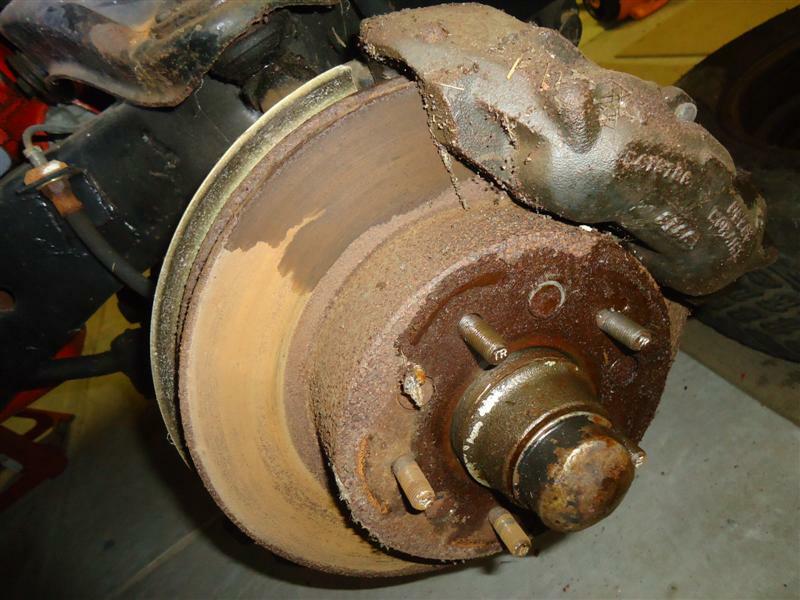 The front brake rotors on this Corvette were rusted from years of sitting, and unfortunately not reusable. 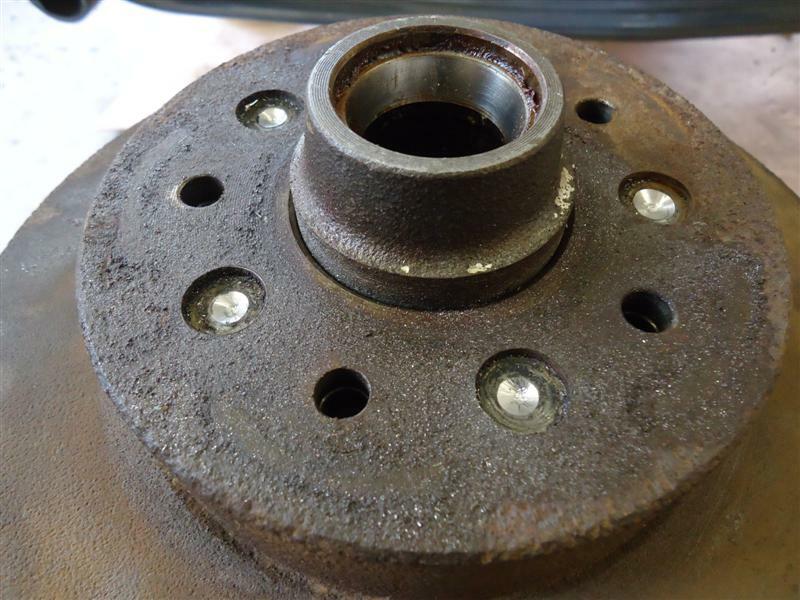 If your 1965-1982 Corvette has the original rotors, removing them requires drilling out rivets from the hub assembly. The reason why those rivets are there was for the factory to have an easy means to install the rotors. They were then trued as a hub and rotor unit so that there was no run-out. Start by center-punching the center of the rivet. This will give you a guide hole. 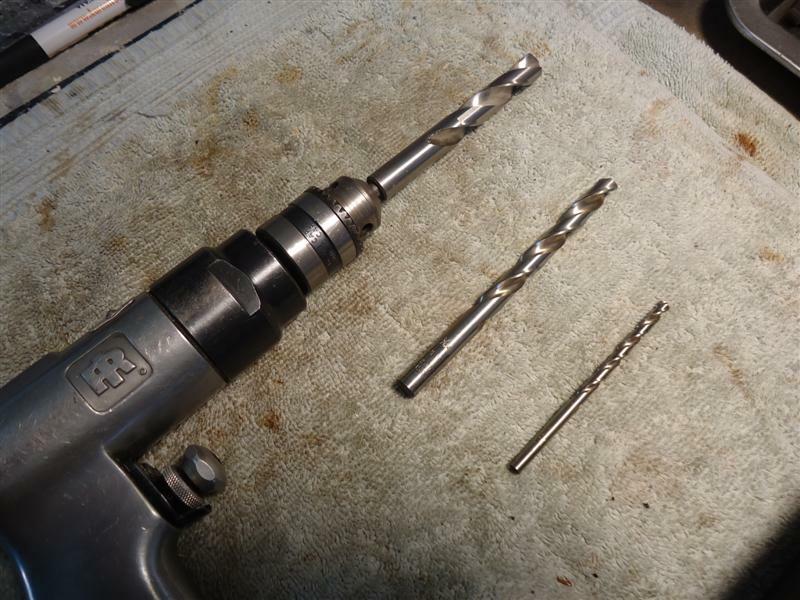 Use a good high speed steel bit (it will say HS or HSS on it). Sometimes a little WD40 or other penetrant on the bit helps it run cooler. Using an air drill is best. You need to drill deep enough to get the heads of the rivets off. For my first pass, I used a 1/8" drill bit. Consecutive passes were made with a 3/8" and then a 7/16" bit. 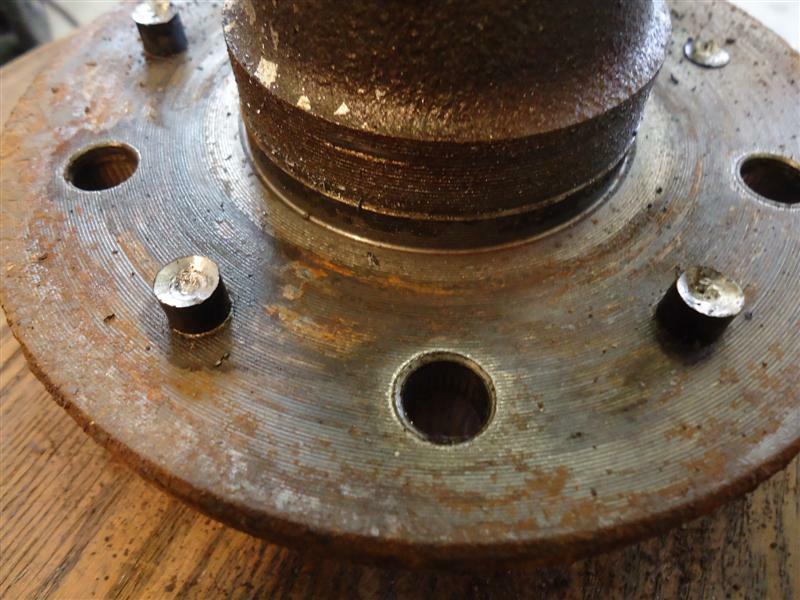 After the rivet heads are drilled off, the hub will now fall away from the rotor. 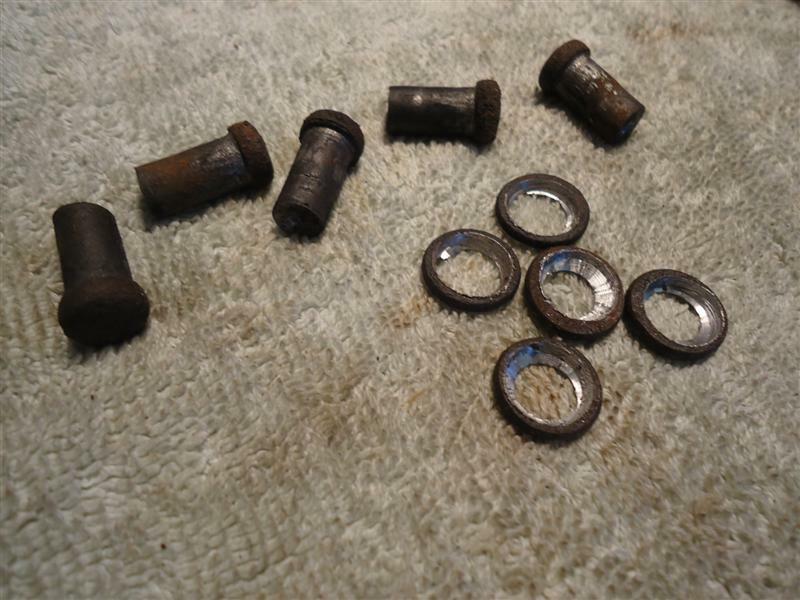 I used a drift punch and five-pound hammer to drive the rivet tails out. If the rivet tails don't come out, you'll need to drill down deeper into the rivet tail after the head has been removed. Be careful not to damage the hub. Unless you are building a 100-point concours show car, is not necessary to replace the rivets once the rotor is off. 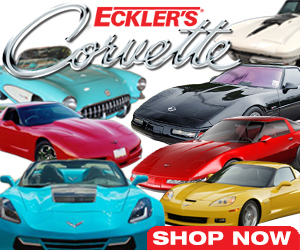 The Corvette service manual recommends simply using the lug nuts of the wheel to hold the new rotor in place. 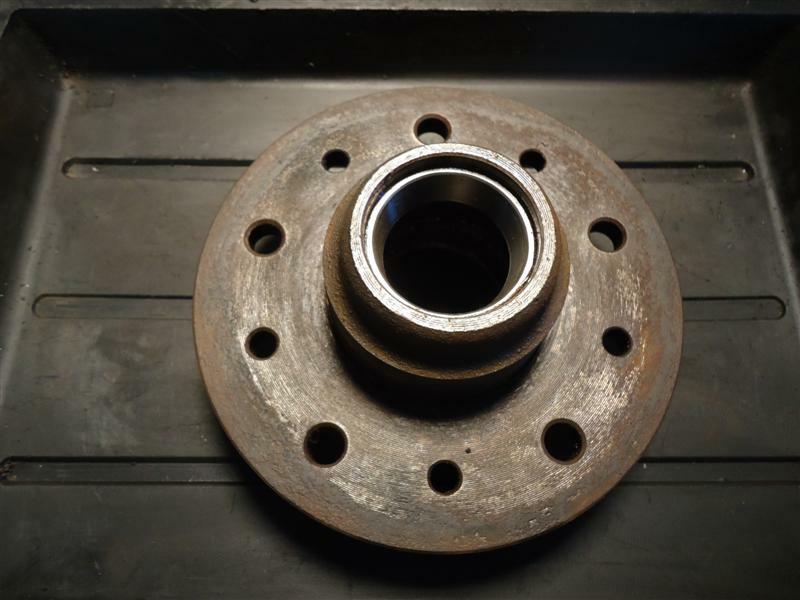 When the nuts get torqued down, it will center the new rotor on the old hub. 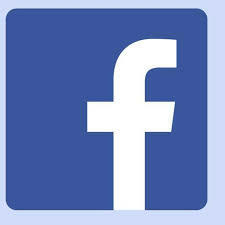 When the wheel is removed again, mark how the wheel comes off and return it to the same position. Another option is to tap the rivet holes in the hub (3/8"-24 tap) and use 3/4" length 3/8"-24 flat head socket head bolts. Countersinking the rivet holes will have the bolts sit a little lower than flush on the rotor. Now the rotor stays in place on the hub, eliminating any run-out issues. This also allows you to remove the rotor if you need to, but remember to mark how the rotor comes off so you return it back in the same position. Total rotor run-out, which is done by turning or shimming, should be no more than .005". The Corvette rotor removal took me about two hours for both sides.